No art, just dinosaurs. That’s the plan for this week’s museum summer adventure. We’re finally going to see the new Dinosaur Hall at the Natural History Museum (NHM) — a state of the art dinosaur installation packed with hundreds of real fossils and kid-friendly interactive activities. 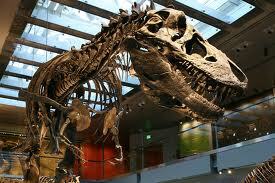 Our first dino encounter is with Thomas the T. rex, the super star of Dinosaur Hall. On view for the first time, Thomas was excavated by NHM paleontologists and is one of the 10 most complete T. rex’s in the world. Next we check out some high tech multi-media stations. Using a touch screen, kids can learn more about the fossil bone fragments on display including their precise location on a virtual dinosaur skeleton. One of our favorite encounters is with Melissa, a very enthusiastic Dinosaur Hall gallery host. Fossil in hand, and wearing a bright blue shirt and “Ask Me” button, Melissa asks, “Hey guys, do you want to touch a real fossil?” Well, you know their answer to that, of course! 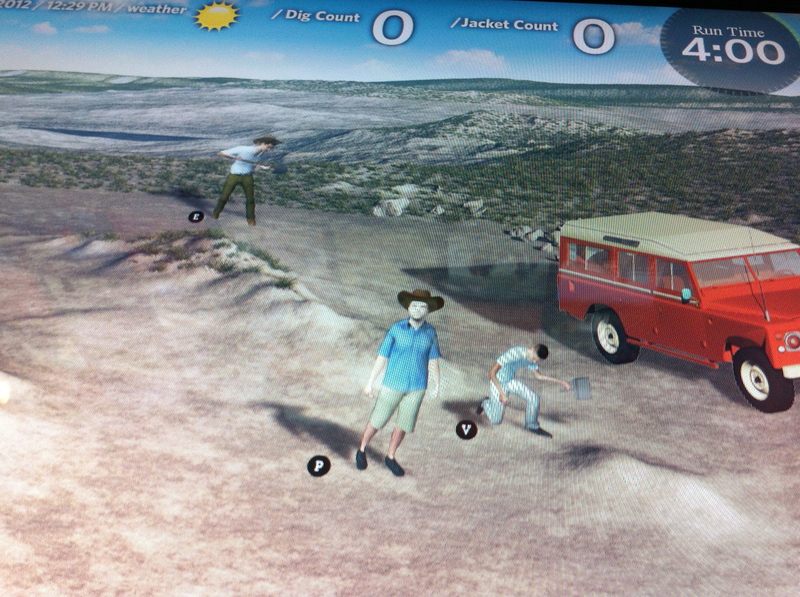 My boys’ discover their favorite multi-media station on the second level, an interactive video game where visitors find and excavate dinosaur fossils in a simulated dig. There are also some interesting low tech tools on display like shovels, picks, and a handwritten field notebook with snapshots from a real dig. Next we head to the Butterfly Pavilion where the kids can get up close and personal with more than 50 butterfly species. My 8 yr old enjoys using the gallery guide to identify all the butterflies he spots. We ask Ashley, the gallery host in this area, about the brightly colored powder covering the butterfly wings. Turns out it’s not made of “fairy dust” after all. The powder is actually a bunch of microscopic scales. All this scientific discovery makes us hungry so we grab lunch at the museum cafe. Then we’re back to the galleries to see the Dinosaur Encounters show. 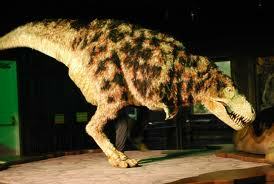 This live performance brings the museum’s prehistoric animals to life with huge dinosaur puppets. Unfortunately, we have to leave before the next performance, but it’s still cool to see the puppets up close in the “back stage” area of the Discovery Center. We can’t wait to come be back and see them in action. 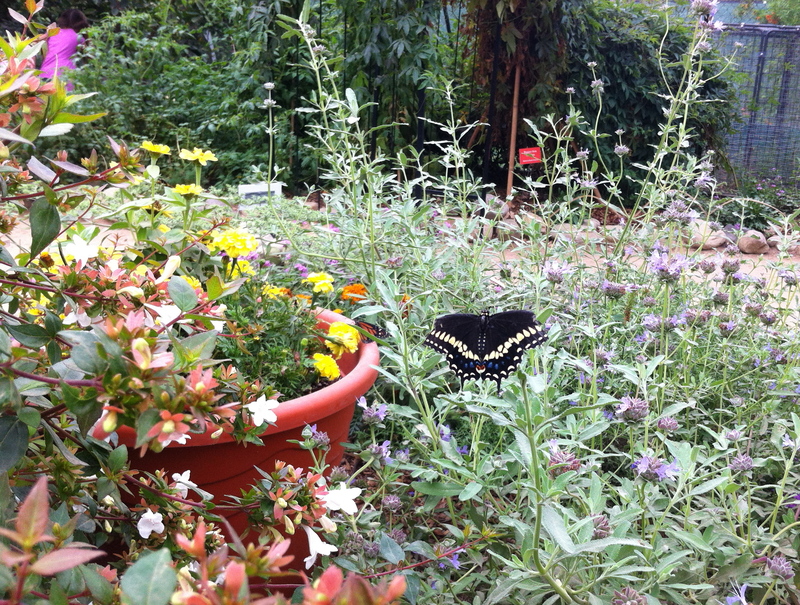 Butterfly Pavillion 2013: This year’s pavilion is open from April 14 – September 2, 2013. You need to purchase a separate ticket with a timed reservation to enter the Butterfly Pavilion. I recommend buying tickets online in advance to make sure you get in. And don’t be late, you only get 30 minutes inside the pavilion. 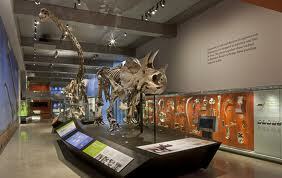 Dinosaur Encounters: The performances are included with museum admission. It’s a good idea to check the performance times beforehand so you can plan your visit accordingly. Less is More: We tried to see everything in one day which is a lot, especially for young ones. You might want to break up these activities into two or more museum visits. Visitor Information: Hours, directions, parking, etc.